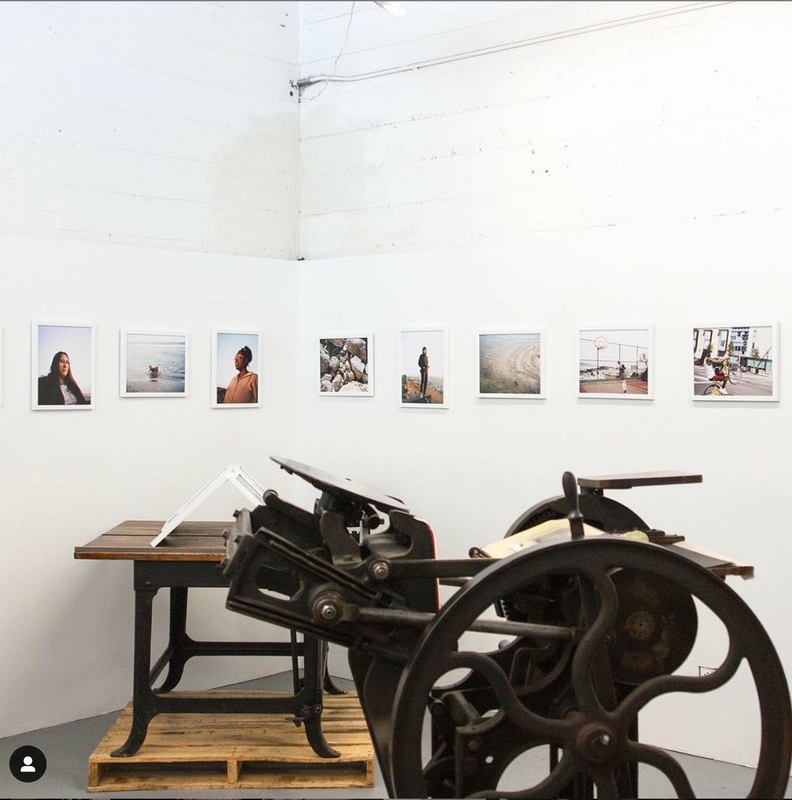 Open Windows Cooperative is a community print shop, bindery and collaboration space located in the Bayview district of San Francisco. Through workshops, gallery shows, and community events, we work towards common goals of wellness, creativity and social-racial-economic-environmental justice. We believe in art’s ability to empower us, to connect us with our intuitive minds and bodies, and to transform us from consumers to producers of meaning. Check out our shop for printed work, and our calendar for upcoming events. We also offer space rental for small groups and photoshoots. Check out our services page for contact information and pricing. Open Windows Cooperative was co-founded by Ava Sayaka Rosen and Alexandra Jane Williams. 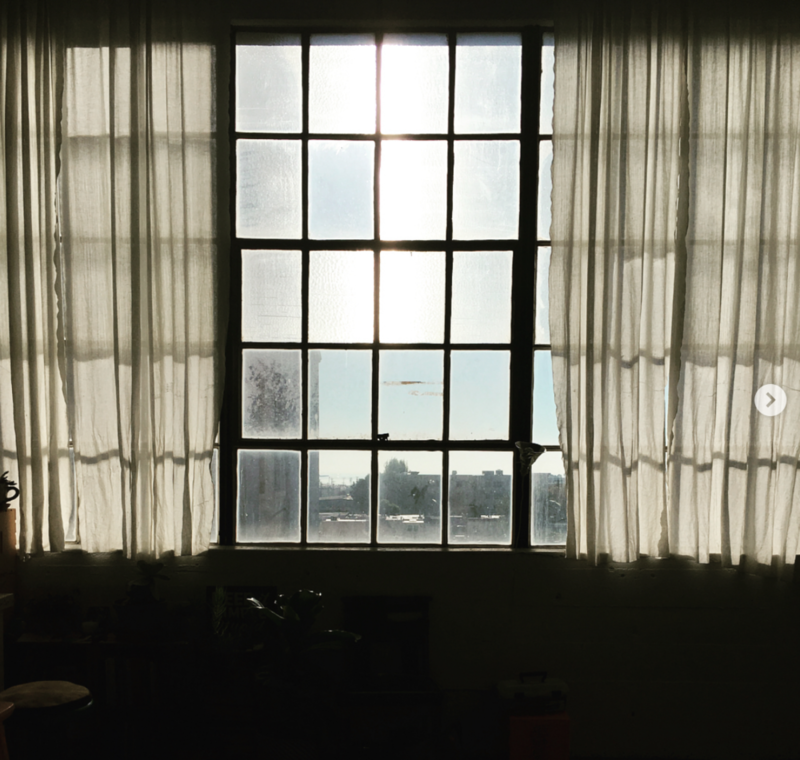 Open Windows is a unique 771-square-foot shared studio located in the historic Yosemite Place building in San Francisco’s Bayview neighborhood. 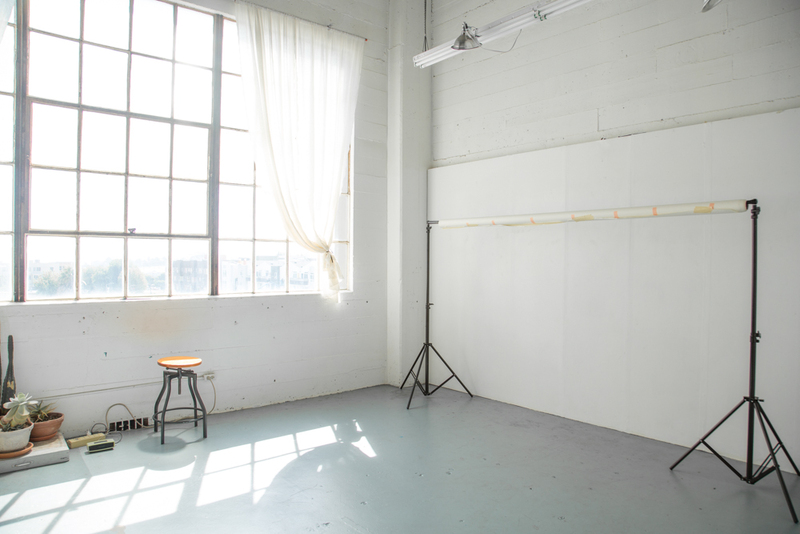 With 20-foot ceilings and large windows overlooking the bay, the space has ample natural light, wall space, modular furniture, and a full bookbinding/letterpress studio. Ava Rosen was born and raised in San Francisco, California. She earned a B.A. in Literature with a Creative Writing emphasis in 2010 from U.C. Santa Cruz, and an M.F.A. in Book Art and Creative Writing from Mills College in 2015. She was a founding member of Material Print Machine in 2015 and co-founded Open Windows Cooperative in 2016, where she has co-curated seven gallery exhibitions. She has exhibited work at San Francisco Center for the Book in San Francisco, the Mills College Book Art Pocket Gallery and Mercury 20 Gallery in Oakland, and 110 Church Gallery in Philadelphia. She has recited poetry at E.M. Wolfman Books in Oakland, The Emerald Tablet in San Francisco, and Ditto Ditto Books in Detroit. Ava was Artist-in-Residence at This Will Take Time in Point Arena in 2017 with Alexandra Williams, and co-facilitated the Community Weaving Project in 2018. Currently, as Judaic Arts Coordinator at Congregation Emanu-El’s Youth and Family Education program, Ava teaches Jewish values through art. She also sings and plays bass with Galore. Alexandra Williams was born and raised in San Francisco and graduated from U.C. Santa Cruz with a B.A. in Studio Art in 2011. She started her career as a hand bookbinder in San Francisco, and formed her own studio in 2014, which would later become Open Windows Cooperative. While working as a Creative Producer at Airbnb, she co-founded an internal art space called the Common Studio where she taught screen printing, foil stamping, and bookbinding and went on to present her ideas on the importance of creative freedom in the workplace as a part of a panel discussion at Mattel, SXSW, and the O'Reilly Design Conference. In 2016 she co-founded Open Windows Cooperative with Ava Rosen in response to a need for community art spaces in the Bay Area. In 2017 Ava and Alexandra collaborated as Artists-in-Residence at This Will Take Time and have since published a work of text and images about the labor and process of creative work. She currently lives and works in Cambridge, Massachusetts as a designer/artist/producer/herbalist. 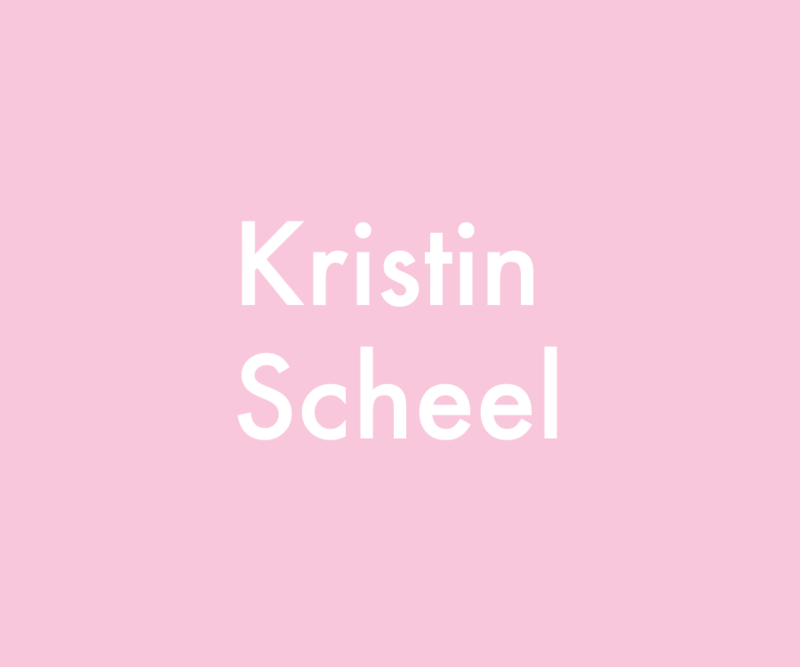 Kristin Scheel is a writer and social worker originally from the Blue Ridge mountains in Virginia. She graduated from St. John's College in Santa Fe, New Mexico and Annapolis, Maryland in 1993. She worked in child welfare, in non-profits and for the state of Oregon until moving to California in 2002 to raise her family. From 2010-2014, she was the director of a preschool in Cole Valley called The Birdhouse. Kristin earned an M.F.A. from Mills College in 2015 and became a member of Open Windows Cooperative in 2017. Kristin's collage book art and collage has been exhibited at the Mills College Book Art Pocket Gallery and Piano Fight in San Francisco. She was a co-facilitator of the Community Weaving Project at OWC in summer 2018. She is currently a member of a year-long writing workshop with Jane Vandenburgh at Djerassi. Kristin lives in the Bayview with her three children Wyatt, Elinor and Wren, and works at The Marsh Theater in the Mission. Bonny Nahmias was born and raised in Tel Aviv, Israel. She moved to the United States in 2006 at the age of eighteen in protest of Israel’s mandatory military service. Nahmias first lived in Brooklyn, NY, where she explored performance art and the theatrical world. She later moved to San Francisco and received her B.F.A. from California College of the Arts in Sculpture and Visual Studies in 2016. She has exhibited her work throughout the United States including, CTRL+SHFT, Endless Editions, Hubbell Street Galleries, Root Division, Southern Exposure, SOMArts, and Asian Art Museum. She currently lives in San Francisco where she is involved with Gray Area Foundation for the Arts and Open Windows Cooperative. Nahmias also works as an educator for children and youths at different Jewish institutions around the Bay Area teaching Jewish values, practices, and mysticism through the arts. Steve Nuzzo (M.Ed.) is a teacher, and takes pride in that designation. He started out teaching middle school in Philadelphia, his place of birth, and most recently has been an adjunct instructor at Palo Alto University where he has created and taught courses in the Business Psychology program. His work as a communications consultant and workshop facilitator has taken him all over the world, working with mid and upper level managers in organizations throughout the US, Europe, and Asia. And, he believes that artists are the most important members of any society, uniting communities and helping to reveal truth and beauty in every personal, political and social environment. While Steve does not consider himself an artist in the true sense of the word, over the years he has built a portfolio of portrait photography and produced a few personal documentary videos. He looks towards Open Windows as an inspiration to help bring his work to the next level. Who knows, maybe artistic. Nicole Ho is a freelance digital and film photographer who specializes in portraiture, fashion, beauty, still life, and editorial. Her work as been published/featured in Lady Gunn, Darling Magazine, Design Milk, Dreamingless, Bob Cut Magazine, Haute Punch Mag, Elegant Magazine, WMN Magazine, Period Mag, Pap Magazine and VSCO Journal. Select clients and collaborations include: Pascaline Paris, ISM SF, AALO, Adelyn SF, Poeme Clothing, Attilio Fine Jewelry, Beta Brand, and VSCO. She joined the Open Windows Cooperative in 2018 to continue developing her photographic work and to engage with other local artists/creatives. Griffin Jones was also born and raised in San Francisco, and met Open Windows Cooperative co-founder Ava Rosen in 2017 when they started playing in Galore together. Griffin mostly plays guitar and sings, but also enjoys writing and talking about ideas. Her mother, Aida, raised her while directing a theater production company, so Griffin enjoys communal workspaces and working cooperatively toward a goal. Nick Fowler was born and raised in San Francisco. Nick began reading comics as a reward from his parents as they tried to potty train him. One of those things stuck and he has been reading and making comics ever since. He has studied cartooning at the School Of Visual Arts in New York and took part in the Comics Workbook Rowhouse Residency in Pittsburgh. He can be found drawing, making videos, trying to make music, looking for old books, comics and records, and sharing moments with loved ones.